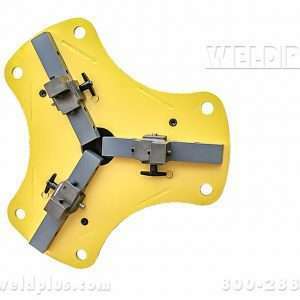 MBC SL 309 3 Jaw Spinlock Self Centering Chuck | Weld Plus. 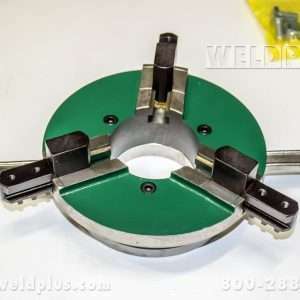 MBC SL 309 3 Jaw Spinlock self-centering chuck with reverse jaws for OD/ID work. 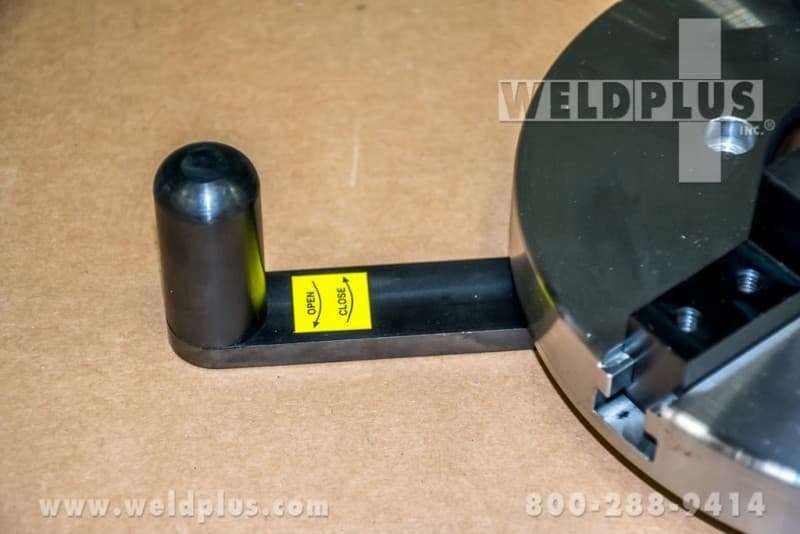 Chuck is lever actuated – no chuck key means no wasted movement, faster cycle times plus higher productivity. 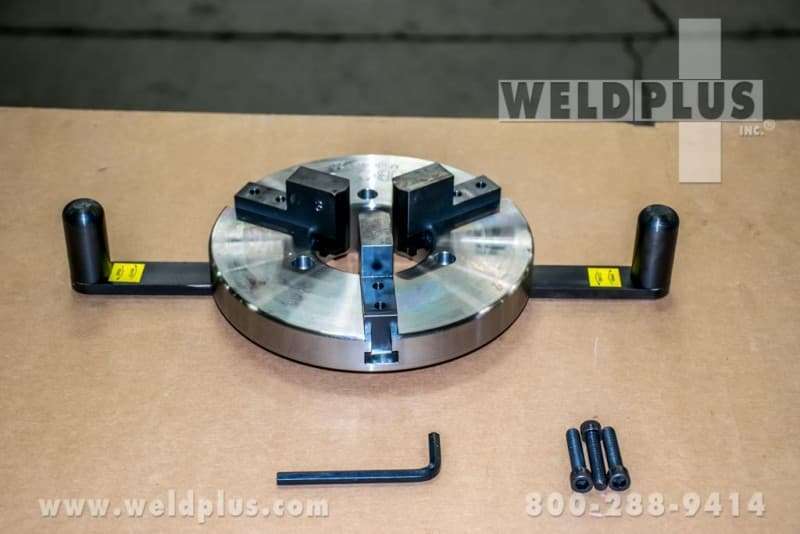 Low profile design plus low weight (17 lbs.) 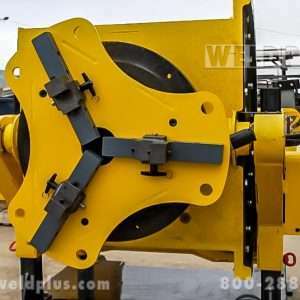 maximizes work capacity of positioner. 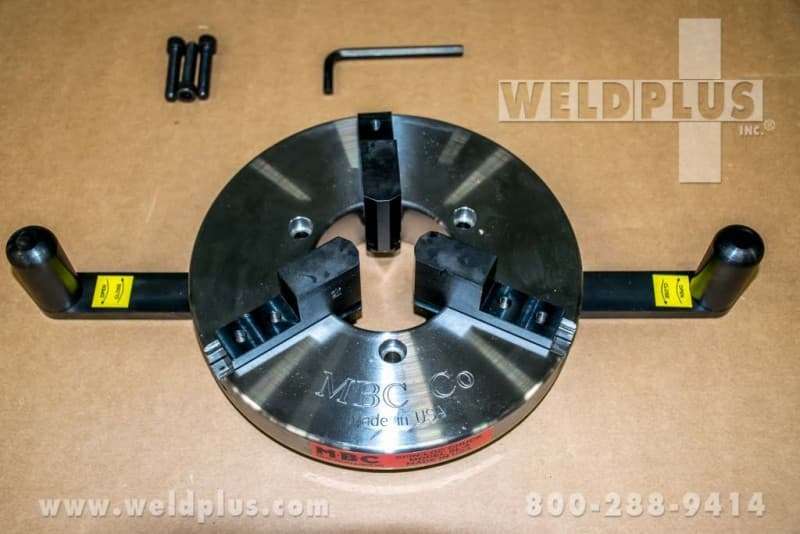 Large range in capacity 3/8″ to 7″. 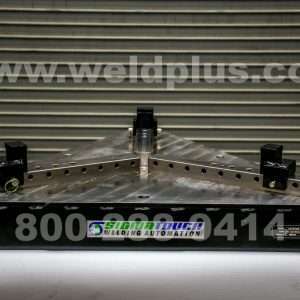 Chuck can be bolted to any positioner or work surface. 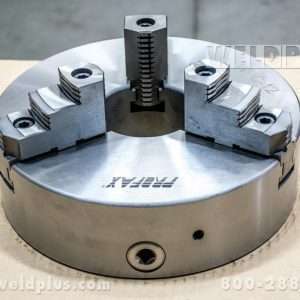 Replaceable jaws made of SAE 1018 steel can be welded or machined to suit your clamping needs. 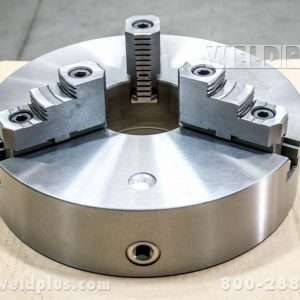 Contact Weld Plus for price and information on the MBC SL-309 3-Jaw Spinlock self-centering chuck. 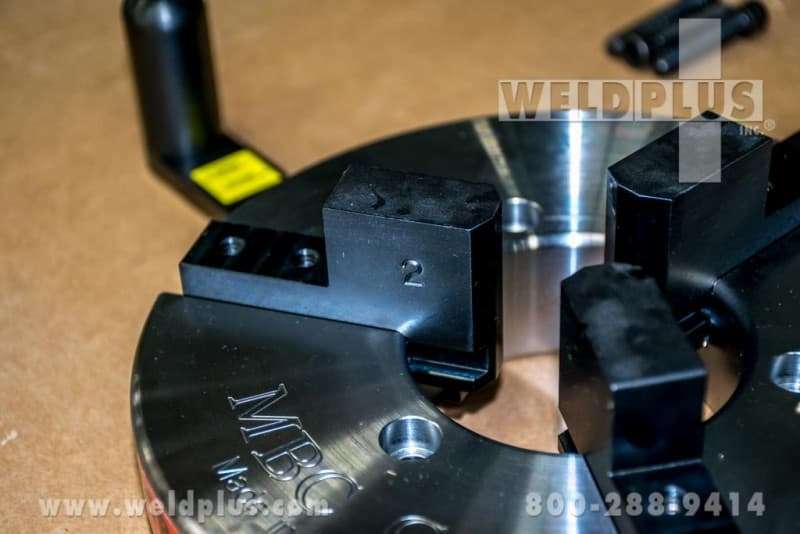 Weld Plus stocks the SL-309 3 Jaw Spinlock chuck at our location in Cincinnati, Ohio. If you don’t see what you are looking for, call our sales team, we may be able to help. 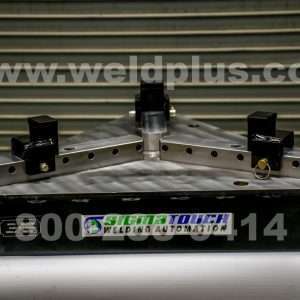 More often than not we find solutions which involve multiple pieces of equipment. 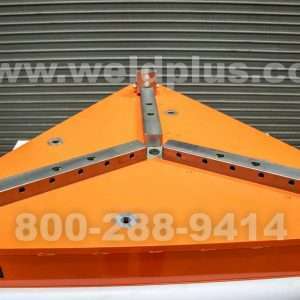 So whether or not you need one machine or several call us, we’ll find the perfect solution for your application!